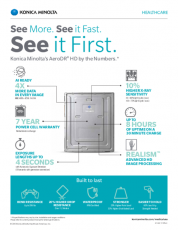 Conventional Imaging | Konica Minolta Healthcare Americas, Inc.
Konica Minolta Imaging continues to offer both wet & DRY medical imaging films. We offer conventional wet MG-SR Green based film, as well as wet CH-H2 Mammography film. For our DRYPRO® Laser Imagers, we offer SD-P & SD-PM film for DRYPRO 700 series printers (SD-PM Mammography film for the DRYPRO 793 Only)….. SD-Q & SD-QM film for DRYPRO 800 series printers (SD-QM Mammography film for the DRYPRO 873 Only). MG-SR & DRYPRO SD-P & SD-Q are available in four popular sizes. Both wet CM-H2 & DRY SD-PM/SD-QM films are available in two standard sizes for mammography. Our films deliver traditional, dependable imaging solutions that will help you achieve consistent clinical results and confidence. The MG-SR Plus Film is fine grain, high sharpness conventional orthochromatic imaging film. Designed for the optimum balance between contrast and latitude, MG-SR Plus film is suitable for radiography of various parts of the body. The CM-H2 film is a very high contrast, high speed, single emulsion orthochromatic film that produces high quality and sharp detail over a wide density range for mammographic imaging. It can be used in standard 90 second conventional processing cycles. The SD-P & SD-Q lines of DRY laser films are specifically designed for the DRYPRO® laser imager cameras. SD-P for DRYPRO 700 series laser imagers and DRYPRO SD-Q for DRYPRO 800 series laser imagers, available in: 14×17, 10×12 and 8×10 sizes. The film is thermally processed and does not require wet processing/chemistry. 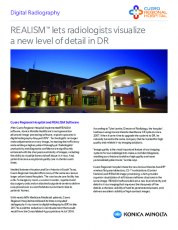 Sharp, clear images are assured by optimized control of image tones from CT, MRI and other image modalities. Also available for mammography, in 8×10 and 10×12 sizes only, we offer SD-PM (for DRYPRO 793) & SD-QM (for DRYPRO 873).